This is a scalable context timeline. It contains events related to the event After 10:30 a.m. September 11, 2001: Suspicious Man Found in the WTC Is Passed on to the FBI, but the Detective Who Arrested Him Is Told to Keep Quiet. You can narrow or broaden the context of this timeline by adjusting the zoom level. The lower the scale, the more relevant the items on average will be, while the higher the scale, the less relevant the items, on average, will be. Rudy Washington. [Source: Congress of Racial Equality]After being caught in the dust plume when the WTC’s South Tower collapses at 9:59, Rudy Washington, who is one of Rudolph Giuliani’s deputy mayors, heads to City Hall, where he coordinates the city’s emergency response to the attacks. He is in contact with New York Governor George Pataki, high-ranking New York Police Department officers, and Navy Admiral Robert Natter, the commander of the US Atlantic Fleet (see (Shortly After 9:59 a.m.) September 11, 2001). He orders the closing of bridges. (Though, according to some accounts, the New York Port Authority ordered all bridges to be closed earlier on, at 9:21 (see 9:21 a.m. September 11, 2001).) As New York Daily News columnist Stanley Crouch later describes, Washington also finds “heavy machinery to get downtown for the cleanup and got the Navy to guard against a seaborne attack. He evacuated City Hall, which shook like crazy when the second tower fell. He gathered people who could give medical help, gave the order to find lights that could be used at Ground Zero and worked out new phone communications, since power was being lost. Accompanied by city engineers, he went into the streets around the fallen towers, testing the ground to make sure it would hold when the heavy equipment came in.” Washington’s efforts at developing an emergency strategy are reportedly aided by what he learned at an anti-terrorist training session chaired by counterterrorism “tsar” Richard Clarke and held at the WTC, in preparation for the millennium celebration (see (Late 1999)). Stanley Crouch later credits Rudy Washington with having “ran New York for the first few hours after the attack during a period when Giuliani was thought to have been killed inside the first building that went down.” [New York Daily News, 5/20/2004] During the initial hours following the attacks, between around 9:50 a.m. and midday, Mayor Giuliani is moving around between a series of temporary command posts (see (9:50 a.m.-10:10 a.m.) September 11, 2001 and (After 10:28 a.m.-12:00 pm.) September 11, 2001). A helicopter flying above the burning World Trade Center. [Source: History Channel]Minutes after the collapse of the south WTC tower, police helicopters fly near the North Tower to check on its condition. The pilot of one helicopter radios, “About 15 floors down from the top, it looks like its glowing red,” and adds, “It’s inevitable.” Seconds later, another helicopter pilot reports, “I don’t think this has too much longer to go. I would evacuate all people within the area of that second building.” While these warnings are relayed to police officers, fire and rescue personnel do not hear them, as they operate on a different radio system. [New York Times, 7/7/2002; Inter Press Service, 8/25/2005; National Institute of Standards and Technology, 9/2005, pp. 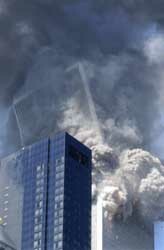 224] The North Tower will collapse 21 minutes later (see 10:28 a.m. September 11, 2001). Andi Ball. [Source: White House]Laura Bush, the president’s wife, and her entourage are driven from Capitol Hill to the Secret Service headquarters in Washington, DC, for their own security, but their journey is slowed by the heavy traffic. [Woodward, 2002, pp. 17; National Journal, 8/31/2002; Kessler, 2006, pp. 136; Bush, 2010, pp. 200-201] Bush has been at the Russell Senate Office Building in Washington, where she was originally scheduled to testify before a Senate committee. [CNN, 9/12/2001; Woodward, 2002, pp. 16-17] Her Secret Service agents have said they are going to take the first lady and her staff to a secure location. [Kessler, 2006, pp. 136] After the Secret Service emergency response team arrived for her, Bush was escorted out of the Russell Senate Office Building and to her limousine (see (Shortly After 10:00 a.m.) September 11, 2001). Bush and those accompanying her leave Capitol Hill at 10:10 a.m., according to Noelia Rodriguez, the first lady’s press secretary. Motorcade Delayed by Traffic - However, the motorcade is slowed by the heavy traffic. Bush will describe, “Outside our convoy windows, the city streets were clogged with people evacuating their workplaces and trying to reach their own homes.” Rodriguez will say, “In the car, we seemed to be going in slow motion.” [National Journal, 8/31/2002; Bush, 2010, pp. 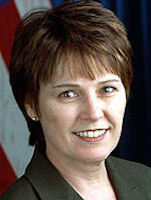 200] “The traffic was so bad that everything was stopped,” Andi Ball, Bush’s chief of staff, will recall. One of the Secret Service agents escorting Bush and her staff will later say a car sideswiped them during the journey. Joseph Trombino. [Source: Family photo]An armored truck that was parked in the basement of the World Trade Center on the morning of 9/11 is discovered by recovery workers, who find that diamonds and bonds worth over a million dollars are inexplicably missing from it. The Brink’s armored truck was driven down to the underground receiving platform of the North Tower sometime before 8:46 a.m. on September 11, to deliver $14 million in cash. As well as this cash, the vehicle was carrying negotiable bonds and diamonds. Driver Stayed with His Truck after Flight 11 Hit the WTC - Its driver, Joseph Trombino, waited while his three fellow guards dropped off the cash with some Bank of Nova Scotia guards, who put the money into canvas carts to be taken to a vault. Trombino was still in his vehicle when Flight 11 crashed into the North Tower, at 8:46 a.m. (see 8:46 a.m. September 11, 2001). His fellow guards were subsequently evacuated from the tower. But instead of leaving, Trombino stayed with his vehicle, perhaps to protect the cargo or because he expected his colleagues to return. At 9:15 a.m., he called Brink’s and reported that a police officer had told him to move his truck because the tower was unstable. He also reported that the building was shaking and water was cascading down. 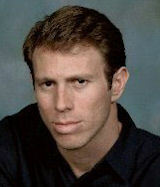 He was killed when the North Tower collapsed, at 10:28 a.m. (see 10:28 a.m. September 11, 2001). Recovery Workers Discover the Armored Truck - Now, over three months later, a recovery team unearths part of the roof of Trombino’s truck in the wreckage of the WTC. Sergeant Kevin Murphy of the Port Authority Police Department (PAPD) calls Lieutenant William Keegan, who is in charge of the PAPD’s nighttime rescue and recovery operation at Ground Zero, and tells him about the find. Keegan, in turn, contacts Brink’s to alert it to the discovery of one of its vehicles. Brink’s says it will send someone to the WTC site as soon as possible and mentions that the truck contains over a million dollars’ worth of valuables, comprising $250,000 in diamonds and $750,000 in negotiable bonds. The company also says the truck’s driver—Trombino—is still missing. Keegan then heads to the WTC site and a Brink’s supervisor also goes there. 9/11 Star - Kerik is considered a star. 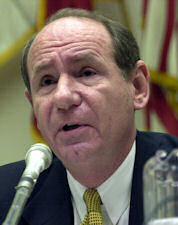 Made famous by his efforts in the days and weeks after the 9/11 attacks (see (After 10:28 a.m.-12:00 pm.) September 11, 2001), he is asked for his autograph by soldiers and constantly pressed for interviews by reporters. President Bush considers Kerik the perfect man to take over Iraq’s Interior Ministry and rebuild the shattered Iraqi police forces. His previous experience in the Middle East is dubious—as security director for a government hospital in Saudi Arabia, he had been expelled as part of an investigation into his surveillance of the medical staff. The 9/11 Commission’s staff team that is investigating the emergency response on 9/11 comes to the conclusion that New York City was, in author Philip Shenon’s words, “shockingly ill-prepared for the attacks.” It is clear to the investigators that former Mayor Rudy Giuliani was largely responsible for what went wrong. 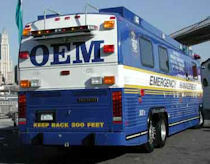 Two Major Problems - One problem was that New York’s emergency command center, based on the 23rd floor of World Trade Center 7, was knocked out early in the attacks, leaving the emergency response without a focal point, and the police and fire departments set up separate command posts (see (9:05 a.m.) September 11, 2001, (9:50 a.m.-10:10 a.m.) September 11, 2001, and (After 10:28 a.m.-12:00 pm.) September 11, 2001). 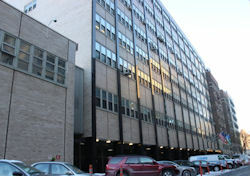 The command center, sometimes referred to as “Rudy’s bunker,” was criticized when it was built precisely because this problem was foreseen (see June 8, 1999). In addition, the radios used by firefighters in the World Trade Center failed to work on 9/11. The same problem was encountered during the response to the 1993 WTC bombing (see February 26, 1993), but the solution that was implemented—a repeater to boost the radios’ signal—did not work on the day of the attacks. This problem was especially grave, as many firefighters were instructed to flee the about-to-collapse towers, but did not hear the instruction due to the poor radio system and died as a result (see (Between 9:59 a.m. and 10:28 a.m.) September 11, 2001). President Bush nominates former New York City Police Commissioner Bernard Kerik to head the Department of Homeland Security, replacing outgoing DHS head Tom Ridge. Kerik is a close friend and political ally of former New York Mayor Rudolph Giuliani, who pushed Kerik for the position. Kerik also actively campaigned for Bush in the recent presidential campaign. “Bernie Kerik is one of the most accomplished and effective leaders of law enforcement in America,” Bush says. “In every position, he has demonstrated a deep commitment to justice, a heart for the innocent, and a record of great success. I’m grateful he’s agreed to bring his lifetime of security experience and skill to one of the most important positions in the American government.” Kerik recently returned from a stint in Iraq, where he trained Iraqi police officials (see May 2003 - July 2003). 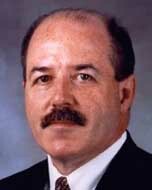 Kerik was also in charge of New York City police activities during the 9/11 attacks (see (After 10:28 a.m.-12:00 pm.) September 11, 2001). Kerik says: “I know what is at stake. On September 11, 2001, I witnessed firsthand the very worst of humanity and the very best.… I saw hatred claim the lives of 2,400 innocent people, and I saw the bravest men and women I will ever know rescue more than 20,000 others.” Bush says of Kerik: “He was there when the Twin Towers collapsed—he knew the faces of the rescuers who rushed toward danger, he attended the funerals for the officers who didn’t come back. Bernie Kerik understands the duties that came to America on September 11. The resolve he felt that morning will guide him every day on his job and every first responder defending our homeland will have a faithful ally in Bernie Kerik.” Congressional Republicans laud Kerik’s nomination. Senator Susan Collins (R-ME), the chair of the Senate Governmental Affairs Committee, which oversees DHS, calls Kerik a “strong candidate” for the post. “He knows first hand the challenges this country faces in guarding against terrorist attacks,” Collins says. House Homeland Security Committee Chairman Christopher Cox (R-CA) calls Kerik “the perfect choice for the job,” and goes on to say: “There is no doubt that Bernie is a strong, no-nonsense manager who is intimately familiar with the homeland security mission. The new standing Committee on Homeland Security will work closely with him to build on the strong foundations laid by Tom Ridge to secure America against terrorism.” Some Democrats, including Senator Charles Schumer (D-NY), also praise Kerik’s nomination. “Coming from New York, Bernie Kerik knows the great needs and challenges this country faces in homeland security,” Schumer says. “He has a strong law enforcement background and I believe will do an excellent job in fighting for the resources and focus that homeland security needs and deserves in our post-9/11 world.” Kerik’s biggest drawback as the choice to head DHS may be his lack of experience in managing a federal bureaucracy, some observers say. Former New York Police Commissioner Howard Safire says of Kerik: “Bernie is a very good operational person, he knows how to run the operation. What he needs to learn and what he’s going to need help with is the Washington bureaucracy.” DHS is an umbrella department overseeing and managing 22 separate federal agencies and some 200,000 employees and contract workers. [New York Times, 12/2/2004; Fox News, 12/3/2004; McClellan, 2008, pp. 245-246] “People here are waiting to find out who this guy is and what changes he’ll bring,” says an anonymous Homeland Security senior official. “He’s really an unknown factor here in Washington.” [New York Times, 12/4/2004] In 2008, Scott McClellan, the current White House press secretary, will describe DHS as “still in its infancy and still struggling to define its identity,” and will call it a “vast, unwieldy agglomeration of dozens of formerly independent agencies, now bundled together under one name, and with a new focus (physical threats to the American ‘homeland’) that sometimes contradicted the old mandates. Homeland Security was hampered by bureaucratic infighting, incredibly complex coordination challenges, and slumping employee morale.” [McClellan, 2008, pp. 245-246] Less than two weeks later, Kerik will withdraw his name from consideration, ostensibly over a problem with an illegal immigrant he hired to babysit his children (see December 13, 2004), though some believe his withdrawal is spurred by the media’s interest in his business dealings (see December 9-10, 2004).